Professional development classes at culinary art schools are offered to students who want to gain a competitive edge in their careers. Many schools offer professional development classes as part of a larger degree program and to professionals already working in the culinary arts industry who want to advance their careers. This type of training can open up more opportunities for professionals and prepare first time culinary art students for a faster start in their chosen field of study. 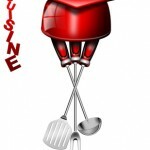 Classes in culinary arts schools may vary depending on the school’s program and the students overall education goals. However, the general topics of study in professional development classes are the same in most higher education institutions and include courses in advanced cooking methods, as well as higher management skills training and business skills training. Schools may offer classes in advance pastry, baking, restaurant management, catering, and other tracks relating to the culinary arts industry. Each course topic may break down into further, more specific areas of study through which individual classes may be scheduled for students. For example, advanced pastry courses often include classes such as pastry decorating, cake baking, candies and confections, bread making, dessert presentation methods, chocolate working, and others. Lecture and demonstrations are often part of the culinary art school’s line up of professional development classes, offering students and the public the opportunity to hear from some of the leading experts in their particular part of the industry. Food media is an interesting course for pioneering chefs who are considering alternative career opportunities in the culinary arts field. Cooking shows, cook books, and other types of performance or demonstration cooking careers are open to chefs who have the skills that companies seek when hiring an on-air or in-print chef for contribution. The classes are also useful for those who wish to write their own cookbook or begin their own cooking show independently of a parent company or employer. Food media courses often discuss the role of the online community in the success of entertainment and educational chef careers as well, so video production, lighting, and technology familiarity can be the focus in some of the related classes to this industry. Blogging, website creation, and hosting online tutorials can all increase the success of restaurants and catering businesses, as well. Therefore, there is often cross-training between business skill culinary art classes and food media courses at many culinary art schools. Many cooking schools also offer one-day or one-evening workshops at a sharply discounted rate for students who wish to learn more about a specific type of cuisine or a specific culinary art genre. Classes in this category might include regional and cultural cuisine, seasonal foods, food composition and nutrition, meat and vegetable preparation, or business courses relating to restaurant and catering company ownership or operation. Professional development classes at culinary art schools offer specialized training and lectures to pros and students….